Midwest Compassion Center is a premier cannabis dispensary in Illinois. They offer a large selection of cannabis flowers, cannabis topicals, cannabis concentrates, and cannabis accessories from reputable vendors. 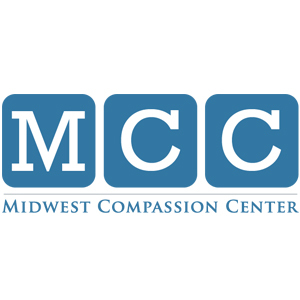 Midwest Compassion Center is dedicated to high quality patient care and they always go an extra mile in assisting to provide relief to their patients. Their Romeoville location is easily accessible from anywhere in Will County and surrounding counties in Illinois. The knowledgeable and compassionate team from Midwest Compassion Center is focused on providing safe access to medical cannabis for patients in Illinois who suffer from qualifying medical conditions. If you are in need of assistance with your Patient Application Form or Caregiver Application Form they are readily available to answer any questions. Through their dosage and product guidance, they’re helping patients achieve a better quality of life each and every day. Midwest Compassion Center encourages patients to make appointments to enhance convenience for both patients and staff members. love this dispesary. From the sales to the atmosphere, it’s 100% top notch. No squirmy, fish out of water feeling when you first go. That’s a HUGE plus for me. And they legitimately care about their patients. Hands down best dispensary in the area. If you’ve been to other dispensaries you will appreciate what MCC has to offer and how they treat their customers. I was impressed with their knowledge. They really took time to find the right products for me. Their recommendations have been a big help in my daily life and I appreciate that.